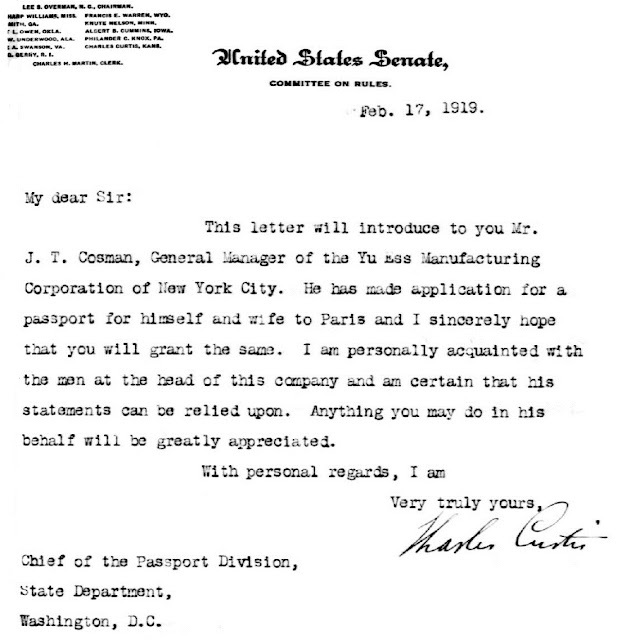 On this day (December 17) in 1917, Jack Theo Cosman applied for the famous (or infamous?) 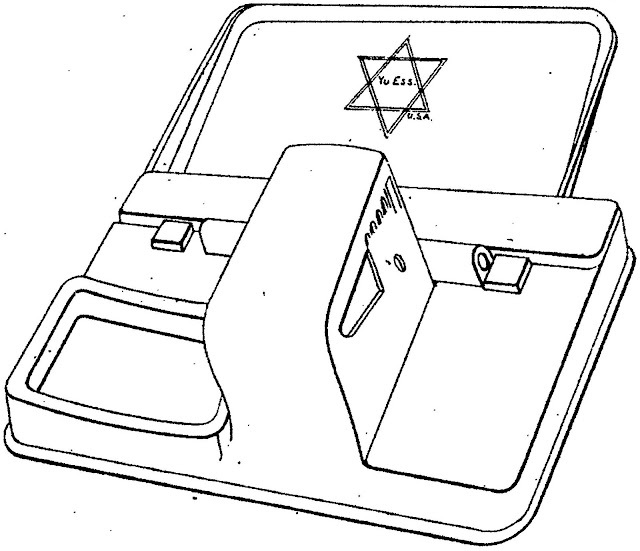 frame design patent for the US version of the Mignon, called the Yu Ess (as in US). 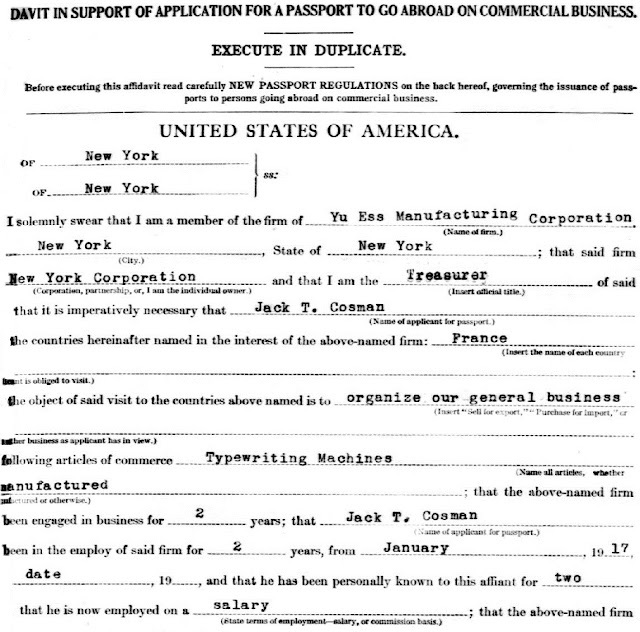 The design patent was issued on November 19, 1918. 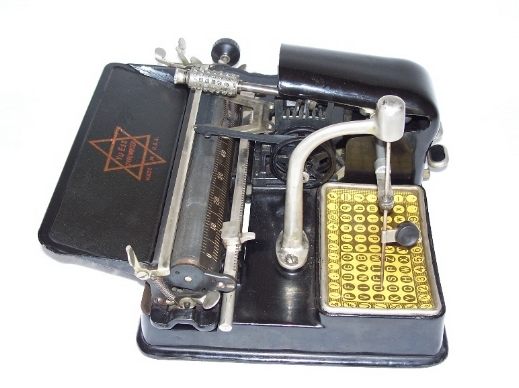 The story of this machine has been told by Paul Robert at the Virtual Typewriter Museum here. 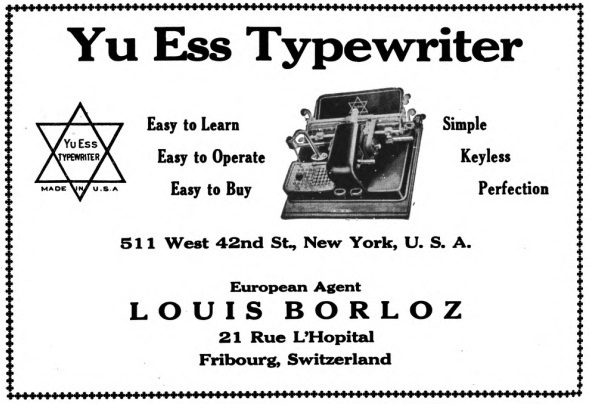 Arnold Betzwiser also has a page on the Yu Ess here. 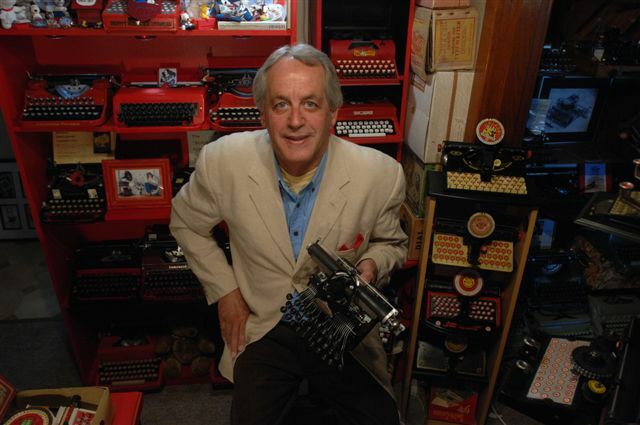 One of these rare machines is for sale at the Branford House Antiques website here. 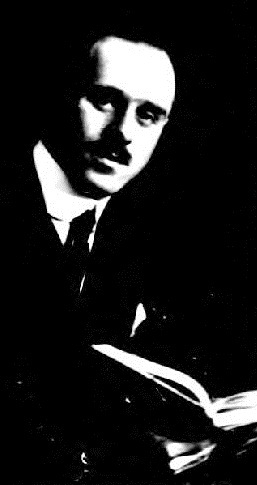 The images in this post are of the Branford House Yu Ess. 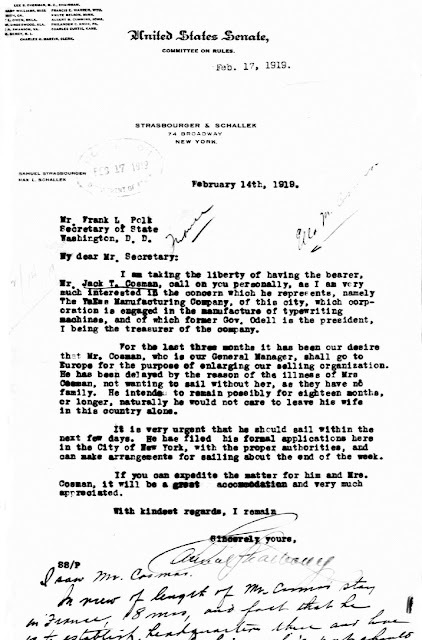 Paul Robert points out that a clause in the 1918 Versailles Treaty cancelled all German industrial patents. 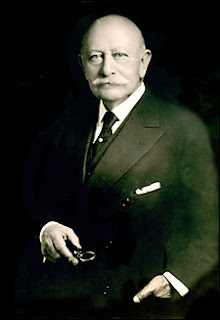 Paul says Cosman took advantage of this to join forces with New York politician and businessman Lucius Nathan Littauer (below, 1859-1944), and W.P. 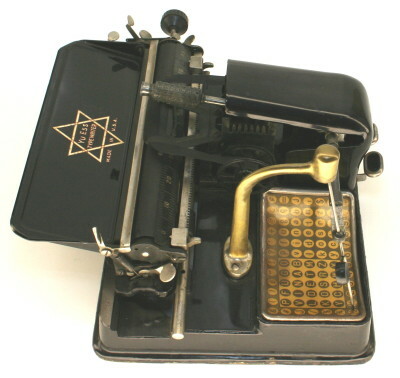 Hatch, one of the inventors of the Elliott Hatch book typewriter, to produce the Mignon for the American market. 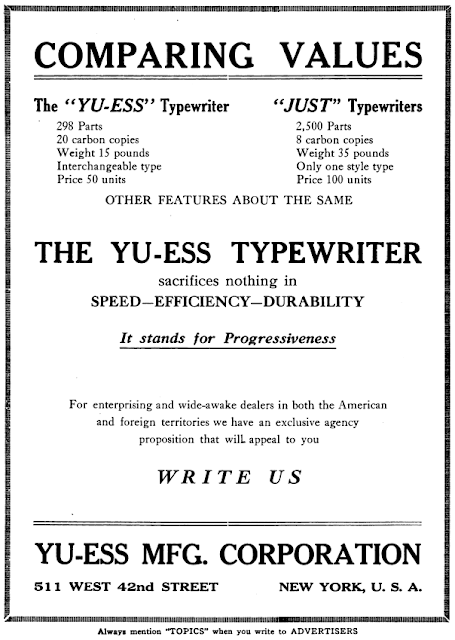 But Paul adds that there are mechanical differences between the Yu Ess and the Mignon. With the Yu Ess failing in the US, Cosman travelled extensively in Europe from 1919 to try to penetrate the market on the Continent. 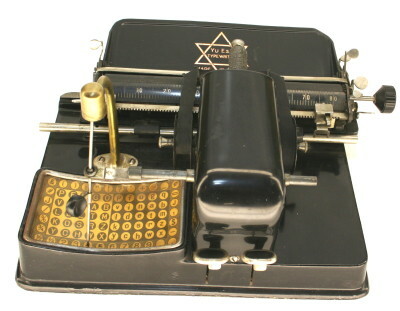 Production was taken up in Paris by the Manufacture Française, and the machine name was changed to Heady, Stella and Eclipse. 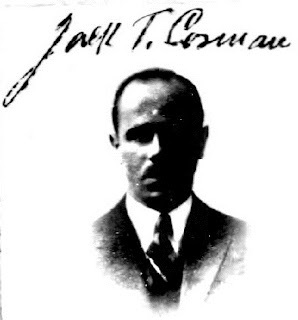 The European venture also failed and Cosman gave up on the Yu Ess to join the V.Vivaudou perfume company, again travelling for extended periods to Europe on behalf of his employers. 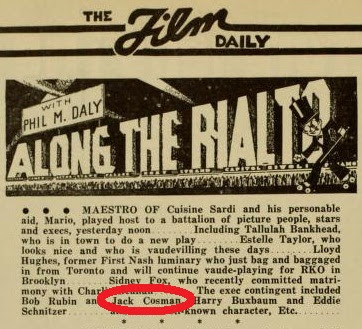 Cosman got into marital problems in late 1928 but remained in New York, where he entered the movie business, initially as a salesman but in the late 1930s as a “film industry executive”. 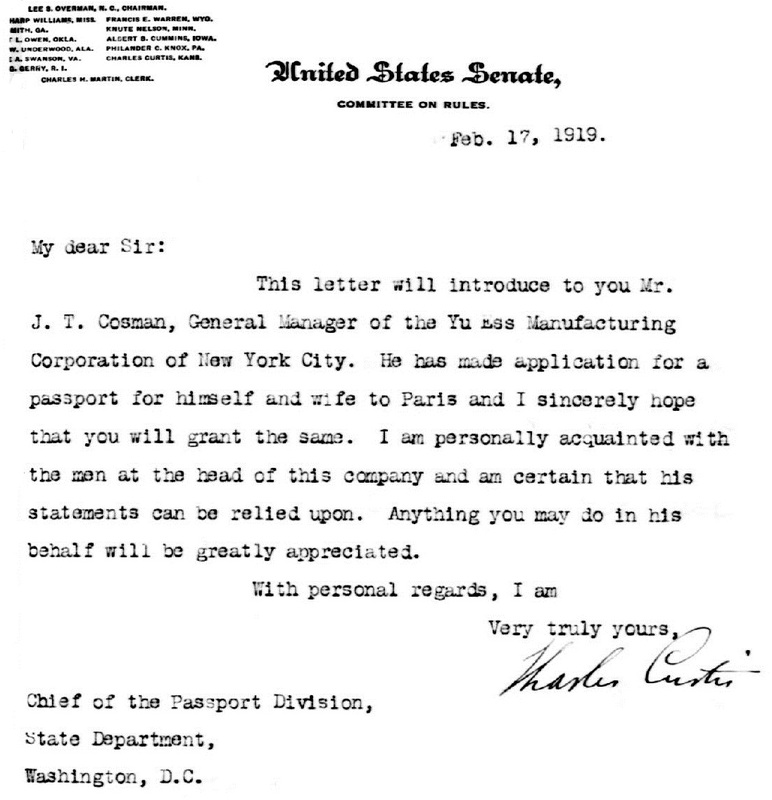 Once more he had pushed the boundaries over patent rights, and in 1930 was sued over developing machines. 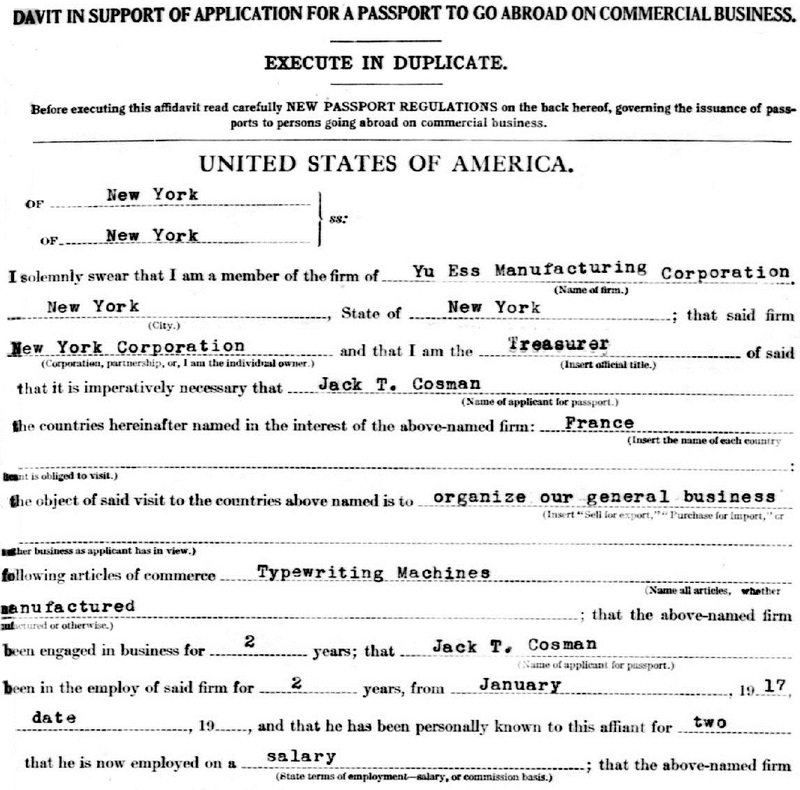 Jack Theo Cosman was born “near Groton”, New York, on March 10, 1883, the son of Californian-born Victor Jack Cosman and a Swiss-born mother. Wow ... 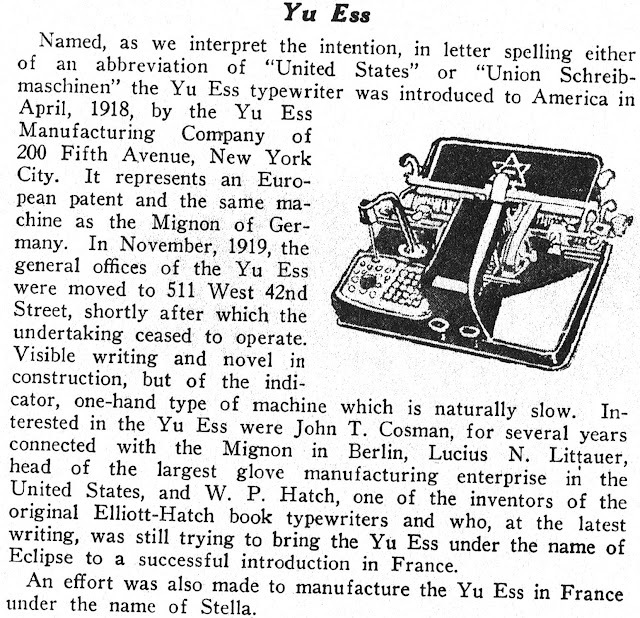 I hadn't read the material on the VTM site so I didn't realize that the Heady was based on the Yu Ess, not directly on the Mignon. The Heady was pretty successful -- they're easy to find on ebay.fr. 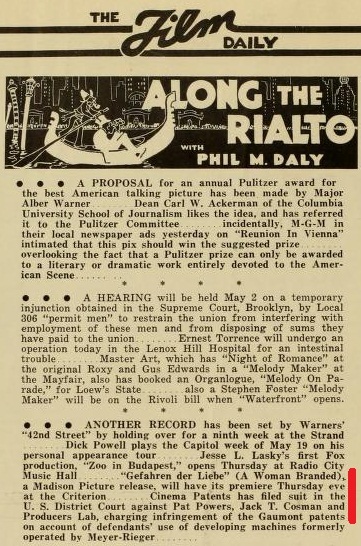 Check Typewriter Topics, 1919, pp. 228 and 1015 of the PDF, for Yu Ess ads. The second ad shows that they were trying to sell the machine in Europe. Thank you so much, Richard, that was very helpful of you. I found two ads and added them to the post, one for a seller in Switzerland. 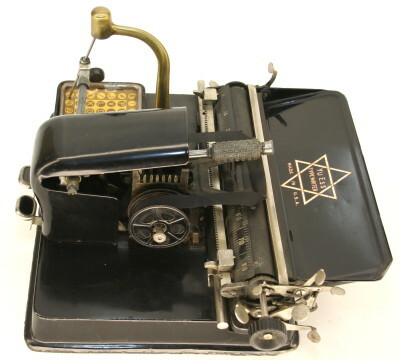 While I was scouring through the 1919 Typewriter Topics I found several (7-8) pages devoted to the Blick Ninety. Will I send them or have you seen them?